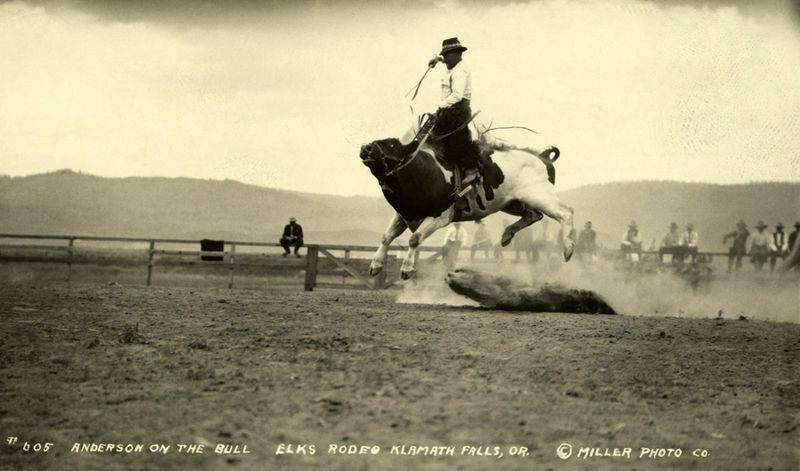 Bull riding was started in the eighteenth century in Mexico. At first, the cowboys would compete to decide who was the best wrangler and the strongest of them. They would do roping, horse racing, and bull riding. At first, the men would get on bulls and ride them to death. It eventually evolved into just riding the bulls till they wouldn’t buck any more. The sport, in the nineteenth century, became popular in California and in Texas mainly because many ranch hands were from Mexico. Then, in 1891, the Wild West shows began to add steer riding to their performances. 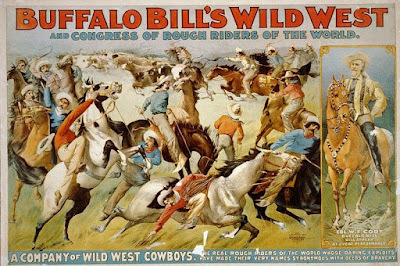 As the Wild West began to disappear, cowboys began to take jobs with these shows, which were formed for the purpose of keeping the American frontier around. Eventually the cowboys started their own competitions, which became rodeos. Over time the Wild West shows disappeared because of the cost of doing them. The cowboy competitions endured. It is debatable where the first official rodeo took place - Deer Trail, Colorado claims it happened there and Cheyenne, Wyoming claims it happened there. In 1936, the Cowboys Turtle Association was formed, which was a rodeo organization. The group started when around 60 cowboys were treated badly at a rodeo. The man, W.T Johnsons, wanted to make them pay money to ride in the event and also was not willing to advertise the rodeo. They left that night. Why the group was called the Cowboy Turtle Association was because people said that, like turtles, they were taking a “long time” to form their group. Nine years later the Cowboys Turtle Association changed its name to Rodeo Cowboys Association. Then again, 30 years later, they changed their name to the Professional Rodeo Cowboy’s Association (PRCA) which includes numerous rodeo events. In 1992, twenty bull riders got together in Scottsdale, Arizona and formed the PBR. They wanted to branch off of the PRCA because they thought that since bull riding was the most popular event in the rodeo, it could do well on its own and that it deserved its own group. A buckle for the prize of winning a competition was because a lot of the first men in the Cowboy Turtle Association were first boxers. YETI Expands PBR Partnership while Ford Diminishes. Monster Steps up to the Plate. 2017 seems to be the year of expansion and reduction. PBR announced Jan 5th that YETI will expand their PBR sponsorship and coverage to highlight the bulls that also compete each week at the events. Rumor has it, PBR Sports Agents from XD Sports had a connection at YETI that led to the sponsorship of some of their athletes. That relationship grew to cover many of the bull riders in the PBR BFTS as well as the PRCA. YETI became a corporate sponsor of PBR during that time. Obviously, this partnership with the PBR was beneficial financially to cause them to expand their relationship and become more involved with the PBR. Ford no doubt has also seen success in this industry and it is just this year that they are not the title sponsor of the PBR, being replaced by Monster Energy. 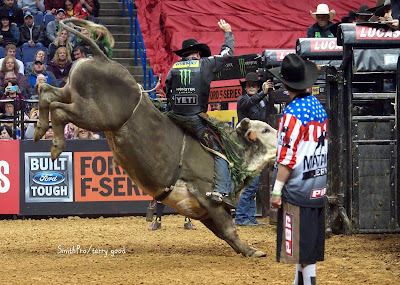 Article about PBR Bull Rider, Renato Nunes, career. 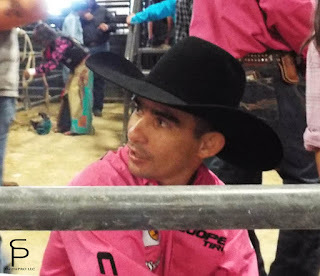 Nunes was a PBR(Professional Bull Riders) Bull Rider for 11 years (2005-2015) and a Pro Bull Rider for 12 years. He retired at the end of the 2015 PBR Season, at the finals in Las Vegas. Over his career, in the PBR, he had 856 outs and 401 rides. Nunes has had some very memorable moments in his career. During the championship round draft in St. Louis, MO, in 2008, he scored a 95.75 point ride on Chicken on a Chain. It was the 11th highest score in PBR history. He was also the second person, in PBR history, to win the World Championship and the World Finals in the same year, 2010. Mike Lee was the first to accomplish it in 2004. Over his career Nunes qualified for the PBR Finals ten times. RFD-TV'sThe American has become an iconic event - featuring the top names in the industry as well as a opportunity for the lesser known rodeo athletes to have a chance at a piece of the 2.3 million dollars purse. Photographers line the arena capturing every angle and moment of the event. 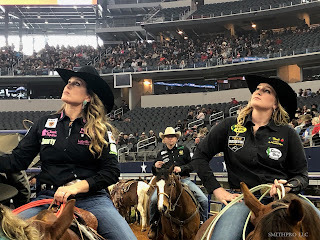 Wrangler Network, RFD-TV as well as other outlets, such as a SmithPRO outlet - Western Media and Sports, chronicles via photos and video the action to share with readers and followers. Photo editing can keep the photographers up until wee hours of the morning to send the finished products to their media outlets. Timely news reporting is critical for the top news networks and their photographers work endlessly to give them the product they have payed for. Here at SmithPRO we decided to not compete against those major outlets to produce the news pieces but instead to share the event through out the year with fun photo edits, videos, and unique stories.